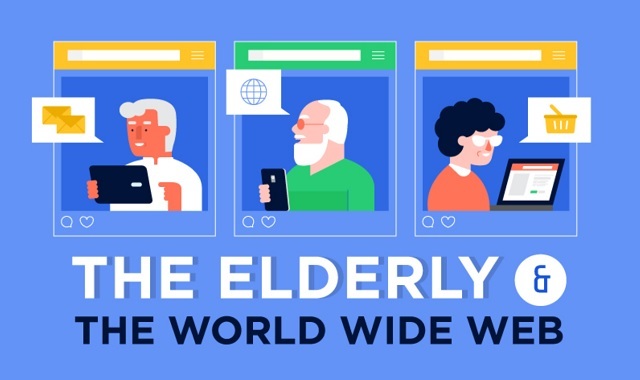 The Elderly and The World Wide Web #infographic ~ Visualistan '+g+"
While seniors don’t have the same level of Internet adoption as millennials, recent studies have shown that elderly people are now more connected than ever. As a matter of fact, more than 70% of Internet users aged 65+ now use the World Wide Web on a daily basis. Furthermore, Baby Boomers – people born between 1946 and 1964 – nowadays spend roughly 27 hours online every week.